organization they May apply for this post. Last Date of Apply 31-January-2018. 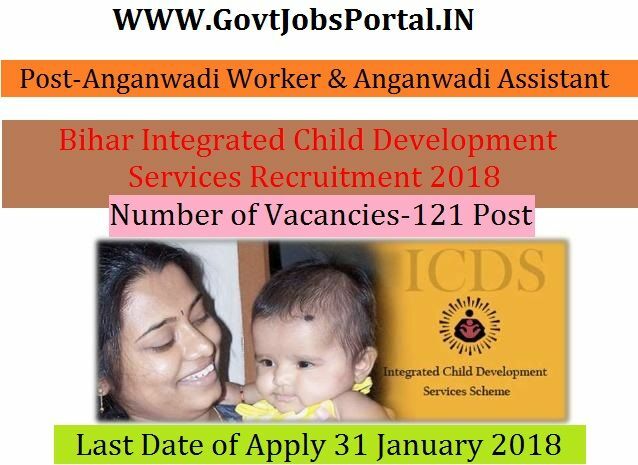 apply for this Bihar Integrated Child Development Services Recruitment 2018. Equivalent for Anganwadi Worker, 8th Class for Anganwadi Assistant.